CleanTechnica got to interview Ken Kcomt, Director of Product Planning at Nissan, and Ira Dee, Product Manager at Nissan North America, about the new Nissan LEAF, as well as the challenges the new LEAF had to overcome. Many cars will be passed off as new with nothing much to add beyond a facelift and a few modifications. This is obviously not so for the new Nissan LEAF. 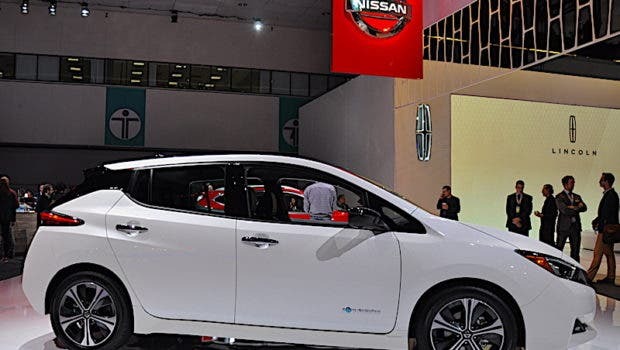 Far from rewriting what has already been said about the new LEAF, though, there are a few key important changes that set this new electric vehicle (EV) apart from most others that I want to highlight. 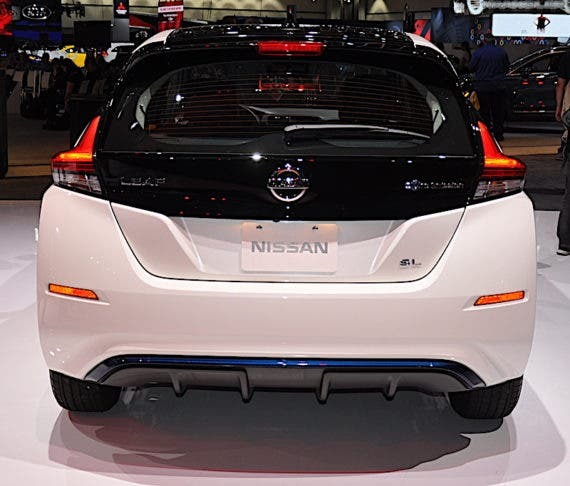 Yes, the Nissan LEAF was designed electric from the ground up and is therefore in a prestigious league. The new one is a complete overhaul and only heavier than the original by 120 lb. 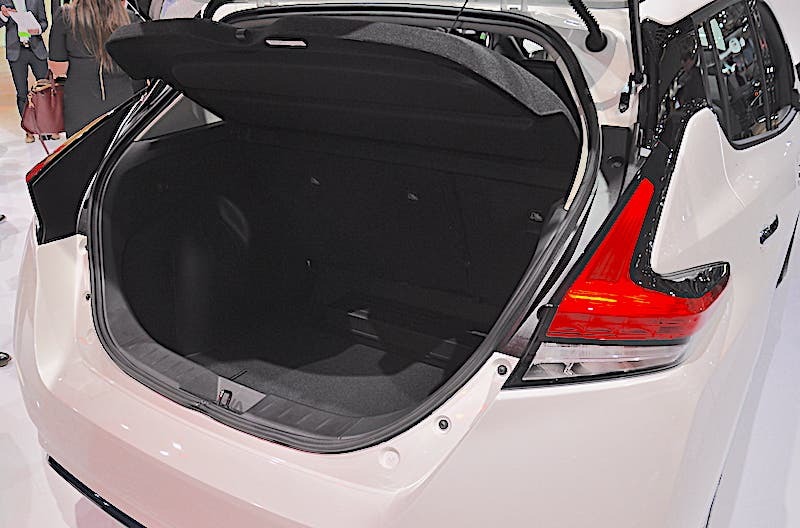 One thing that struck me is the trunk space is exceptionally big for an EV. Ira Dee told us that Nissan was able to achieve this by rearranging everything in the back of the car — rear-weels and other structural components included — to free up as much space as possible in the trunk. We’d be hard-pressed to find EVs that offer that much space today. 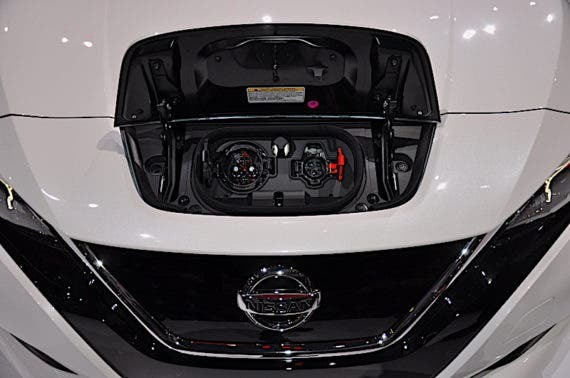 Overall, the new Nissan LEAF has a lower center of gravity, as well as an increased battery pack density, which means the engineers were able to squeeze more batteries into the same place they sat in the original LEAF while opening more space inside. They were able to do this by reshuffling the interior space and make it more efficient. 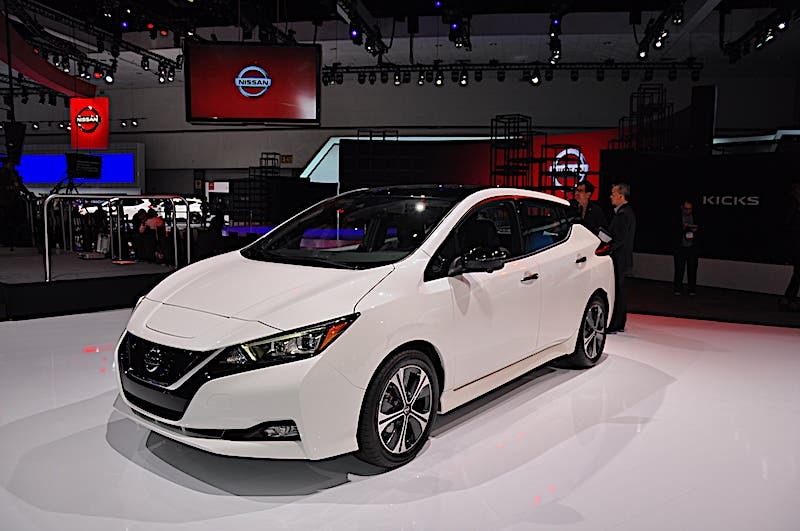 The other big news with the new Nissan LEAF is its intelligent mobility. The car now comes with a vehicle-to-home (V2H) feature that will come in handy in case of emergency. If you’re not familiar with that, V2H is bi-directional charging capability that allows the Nissan LEAF to charge but also allows it to send power back to your home. What this means is you could feasibly charge somewhere and drive back home to run your home electricity needs from your LEAF. Well, at least, you could do that for about a day or so, and then you’d need to push your LEAF to the nearest fast charger. Want to bet someone will try that? On the more serious side, the LEAF also includes a dead smart feature, a portable Level 2 (240V) charger. You can now drive to aunt Millie’s home and charge from her 240V outlet in her garage without her having to get a Level 2 charging station installed. Although this might make you smile, think of the times you get somewhere only to find a 110V outlet to charge from. Now you bring your charger and cut in half the time it would take to recharge. The New Nissan LEAF comes with a certain amount of autonomous driving. 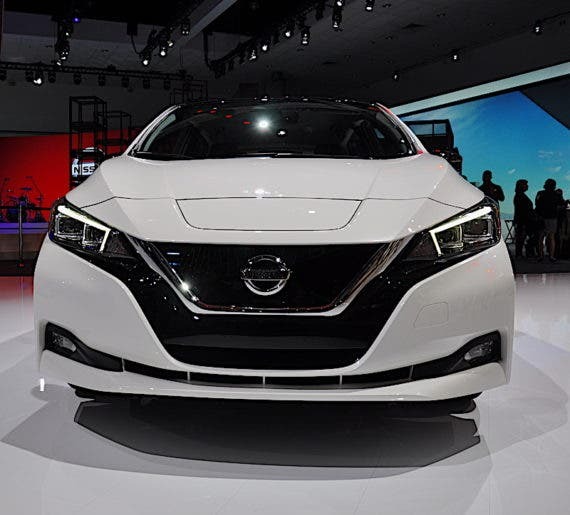 The Nissan LEAF’s new autonomous driving marries itself well with its intelligent auto cruise system. It starts at speeds over 20 mph. It will keep you in your lane and, unlike other systems that zigzag you along, Nissan’s keeps you inside a lane with a more natural feel (similar to Tesla Autopilot). We were happily impressed with this feature for a few reasons. Most similar systems we’ve tried didn’t feel natural and took us by surprise. Cadillac’s early version poked you in the thigh, which was unnerving if you weren’t expecting it. The Volt’s system gives you a gentle steering nudge. So far, Nissan’s feels the most natural. Finally, Nissan’s E-pedal, which is its fuller and richer regenerative braking system, is perfect for this tester. I made a point about it yesterday but this is what a regenerative system should be — able to bring the car all the way to a stop. It has an anti-creep mode as well, meaning if you stop uphill or downhill, the LEAF won’t move and will make use of its hydraulic brake to keep you in place. It’s too bad we see fragmentation in the EV industry. Pitting CHAdeMO against another charging standard only hurts EV adoption. Instead of division, drivers and potential buyers want to have a seamless experience and not have to worry about a silly charging standard war. So far, Nissan says it’s sticking with CHAdeMO since those chargers are readily available and, for the most part, many are still free to charge. Nissan said it is considering its alternative. We didn’t stress enough the elasticity of the electric drivetrain at a higher speed in our initial test drive yesterday. Owners of the first-generation LEAFs will have noticed that the car lacks punch at speeds over 50 MPH. Rest assured, not anymore. The new LEAF felt punchy at almost any speed. Lastly, the new Nissan LEAF feels more like a regular car, while keeping that undeniable EV feel. 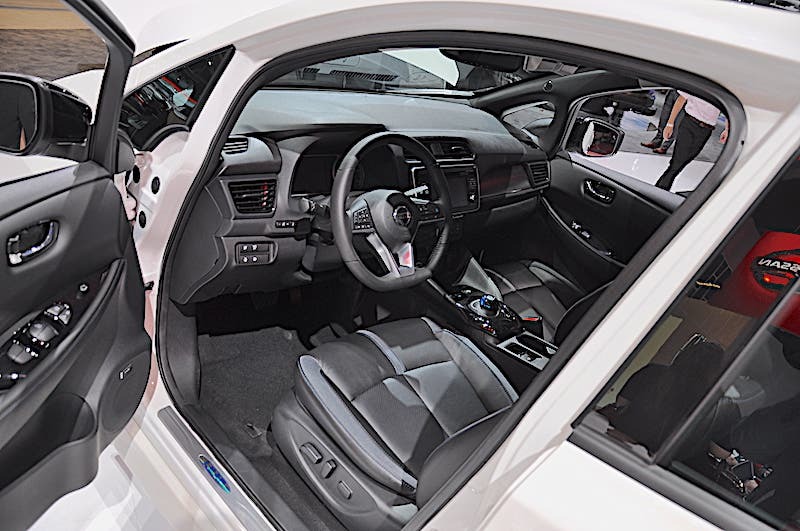 It has heated seats, mirrors, and powered seats, something drivers increasingly come to expect. A cool feature we noticed that speaks highly to how much Nissan listened to its current clientele was to give the charging port latch two opening angles. If you’re tall, you won’t need to bend down to charge anymore. If you don’t know what that means and you are over 6 feet tall, go and open up the charge port of an old LEAF. In a nutshell, the new Nissan LEAF has 40% more range and 30% more HP for a price slightly lower than the original. Nissan pulled an amazing feat here and we are excited to see the #1 best selling EV in the world mature well. After having driven the Nissan mules, early LEAF prototypes, as well as all regular versions, this one is the best.